BLOOMINGTON, Minn. (BRAIN) — QBP has opened registration for its first Service Summit, to be held Jan. 27-29, 2019 in Portland, Oregon. We should consider charging a consulting fee that is relevant and fair but should also be disclosed up front. COLORADO SPRINGS, Colo. (BRAIN) — Barnett Bicycle Institute has announced a series of short-session classes that cover advanced topics. The one-day and two-day classes are offered to experienced mechanics who would like to extend their training without committing to a lengthy training program. 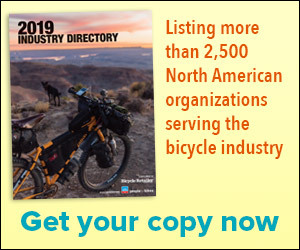 AUSTIN, Texas (BRAIN) — In preparation for a panel discussion at Interbike, the Professional Bicycle Mechanics Association is surveying bike shop owners and managers about the pay and benefits they offer their technical staff.